Within a month of the new campus opening, the floor of the Multi-Purpose Hall (MPH) has been damaged with skateboard marks, smudges and scratches. Confusion remains as to why. Some pointed to the incorrect use of the MPH, while others suggested the lack of lacquering could have exacerbated harm done to the floor. There are no immediate plans for repairs. But Frosh Mixer organizer Dynn Othman ’18 said precautions had been taken and his team was attentive in caring for the floor. He said they had moved heavy objects in the MPH with care. Permission was also sought from Associate Director (Athletics & Fitness) Wain Khoo to move the bleachers. Some also felt that a lacquered finish would have prevented damage. But the MPH floor was designed to have a matte, not lacquered finish, said Ms. Sohmen-Pao. She added that there is a protective coating on the floor to prevent damage from sports use. Senior Manager of Facilities Eugene Tan added that the wood of the floor is pre-treated so that it does not warp or get damaged. However, he noted that damage will occur if the floor is improperly used. Mr. Shirvell said an additional layer of lacquer would extend the longevity of the MPH floor. 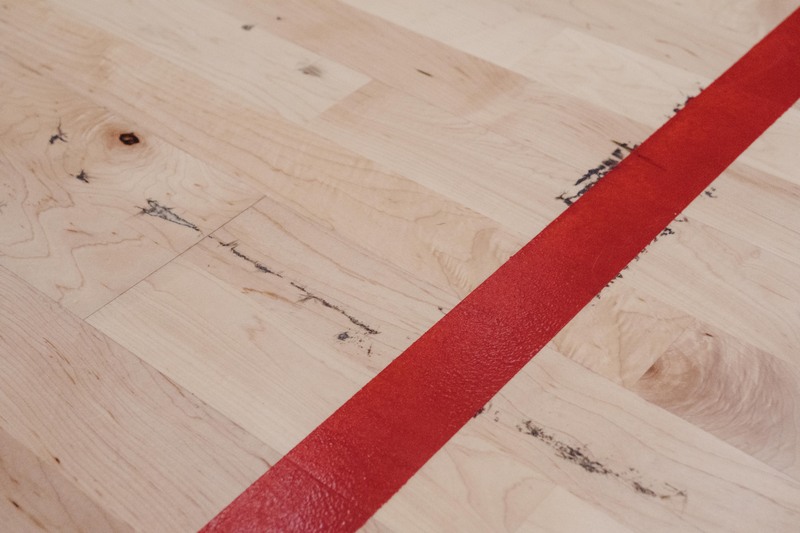 Nair agreed, adding that top basketball courts have lacquered floors. Use of the MPH has not been affected. Sports practices have continued despite the damage, said Mr. Shirvell. Maintenance of the floor will go on as per normal with no special repairs. The floor will be sanded and repolished at approximately three-year intervals, said Mr. Tan. Should there be severe damages that pose a safety concern, Facilities will repair the floor, he added.